Sir Terence Conran (United Kingdom) is one of the most successful and influential figures in the design world. As the recipient of the DFA LAA, he is recognised for his lifelong contributions to the design profession and his visionary approach that has shaped designs across a variety of fields. 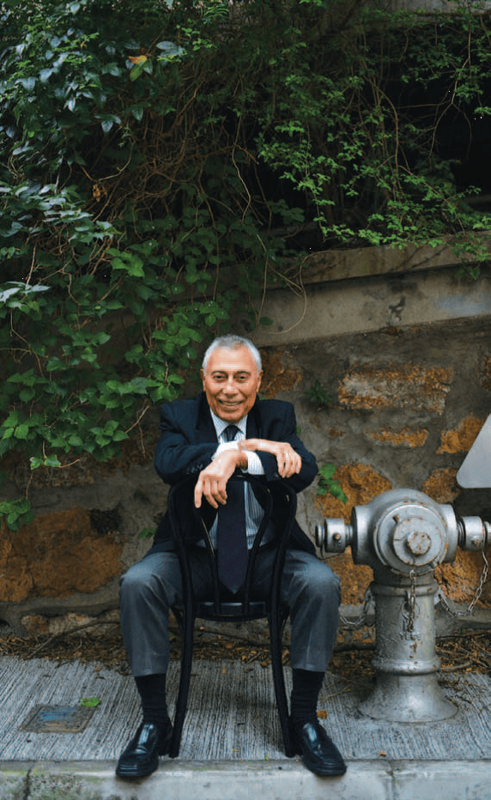 His business empire encompasses a furniture-making business, an architecture and planning group, a design company, a book publishing company, and over 50 restaurants. 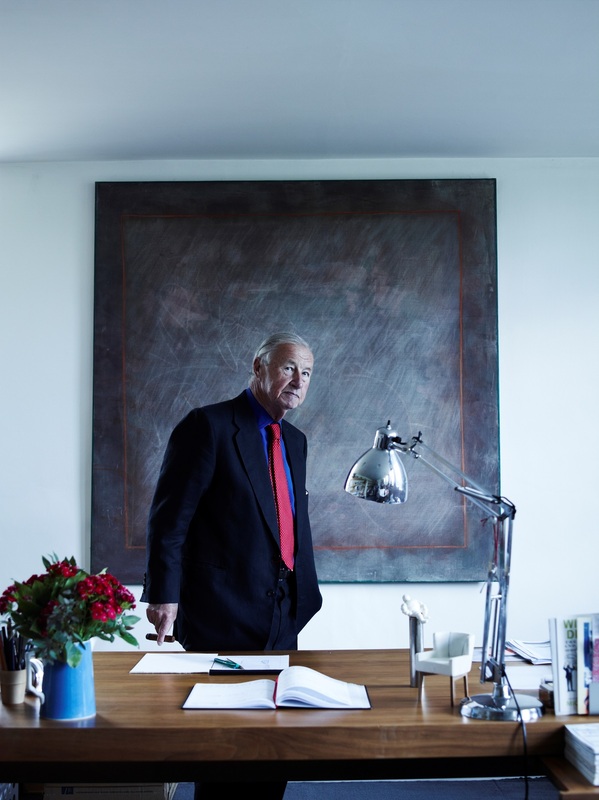 Sir Terence has created a global footprint of influence with business interests from London to Tokyo. Brands developed at his helm include Habitat, the homeware store that revolutionised mass access to the stylish home design; and many others. He also spearheaded the founding of the Design Museum. An established force in the international business community, Sir Terrance’s exceptional achievements have shaped a better future for humanity. 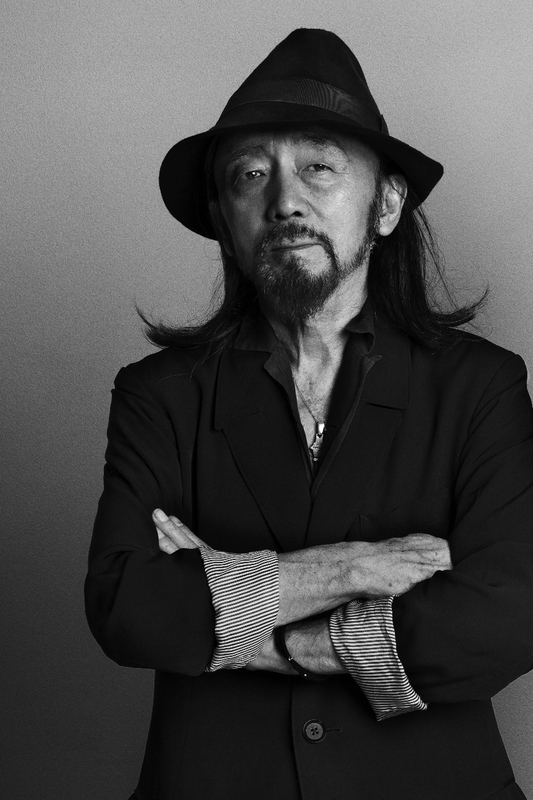 For 45 years, YAMAMOTO has been working in the fashion industry. Renowned for his avant-garde style, his unique designs have graced international runways since his debut in Tokyo in 1977. He presented his first collection in Paris in 1981. In 2002, he was appointed as the creative director for Y-3. YAMAMOTO’s dedication to the fashion industry has been recognised the world over, and awarded lots of honours including the Commander of the Order of Arts and Letters, the highest honour in arts and culture in France. Ahn Sang-soo is one of the most active Korean creatives in the global community. In 1985 in Seoul, South Korea, he founded the Ahn Graphics, leading graphic design consultancy with strong roots in typography and editorial design. Ahn had taught Hangul typography at Hongik University for the past 20 years, he believes typography is full of latent possibilities that allow us to free the typeface from stereotypes and breathe life into with our imagination. For a young Asian democracy at a historical crossroads, Ahn created his first self-titled typeface configuration “Ahn Sang-soo” that won him nationwide fame. The bold circles and shorter strokes convey an unmistakable energy that portends of the cultural, social, and economic renaissance that have deeply reshaped Korea amid globalisation. In 2010, Ahn founded the Paju Typography Institute (PaTI) in Paju Book City, offering practical training to students from diverse backgrounds wishing to work on typography at bachelor’s and master’s levels. In 2012, Ahn was appointed by the Seoul Metropolitan Government as the Chairman of the Board of Seoul Design Foundation and presided lots of game-changing projects, including the Dongdaemun Design Plaza. Over the years, he also served as the ICOGRADA Vice President, and took part in numerous typography exhibitions and events, the most notable of which is the Seoul International Typography Biennale. He also published, as both art director and editor, an underground art and culture magazine, bogoseo/bogoseo (report/report), after serving as art directors for various art magazines, such as Ggumin, Ma-dang, and Meot. Former Chief Designer Porsche A.G. Founder and Design Director Brainchild Design Group and Brainchild Design Consultants, Ltd.
Born in 1951 in Hong Kong, Pinky Lai (Lai Ping) was the Chief Designer of the Porsche 996 series and the exterior designs of the Boxster 987 and first generation Cayman. His work on the 996 series was the first major departure from Ferdinand Alexander “Butzi” Porsche's original design for the 911 in four decades. Lai left Hong Kong for Rome in 1972, where he received a BA in Industrial Design from the Istituto Superiore per le Industrie Artistiche (ISIA). After graduation, he received a full scholarship from Ford Motors to study at the Royal College of Art (RCA) in London. While at the RCA, he won the John Ogier Memorial Design Bursary of the Royal Society of Arts shortly before his graduation with an MA from RCA in 1980, he began work with Ford in Germany, moving to BMW in 1984 as a senior designer. At BMW he won the design of the E36 program, the BMW 3 series; and the model called for an end to all the chromed metal bumpers and brought in the integrated look with plastic bumper. In 1989 he was invited by the president of Porsche’s R&D to move to Porsche as their studio chief. In 2004, he was appointed Chief Designer for all external projects at Style Porsche, handling all transportation design for clients from Japan, Korea, China and across Europe. These projects ranged from high performance motorbike design to redesign a 300-meter long cruise liner. Since 2012, he has worked primarily as the Founder and Design Director of Brainchild Design Group, Germany and Brainchild Design Consultants, Ltd., Hong Kong. His most recent projects include a design consultancy for a major Chinese car manufacturer , a 7-stars residential project for a top property developer in Hong Kong and the design of an Electric Vehicle that will be developed in Hong Kong. The Venice Biennale 2015 has included an exhibition of Lai’s car sketches from the past 40 years. He has made numerous speech appearances in Hong Kong, Taiwan and USA. Born in 1932 in Tokyo, Japan, Kohei Sugiura is a master of graphic design, typography and design research. After graduating from Tokyo University of the Arts with a degree in architecture, Sugiura entered the graphic design world in the 1950s. From 1964 to 1967, he was Guest Professor at the Design College of Ulm in (formerly) West Germany and Professor of Visual Information and Design at Kobe Design University from 1989 to 2002s, Sugiura is currently Director at the Research Institute of Asian Design, Kobe Design University. Sugiura’s work crosses a wide spectrum within three fields — book and magazine design; research on Asian forms; and intricate diagrams. 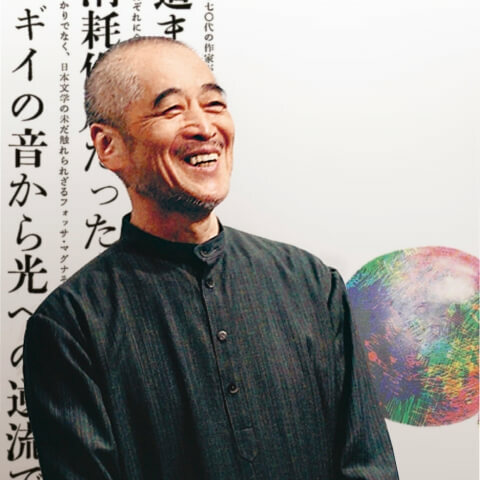 Among his many projects are book designs of Den Shingon-in-Ryokai Mandala: The Mandalas of the Two Worlds at the Kyoo Gokokuji in Kyoto (1977), and Zen Uchuushi (Summa Cosmographia) (1979); cover designs for Ginka (Silver Flower) Magazine (1970-2010); and unique diagram design of Time-distance Map (1969) and Distorted Globe on the Axis of Time (1971). 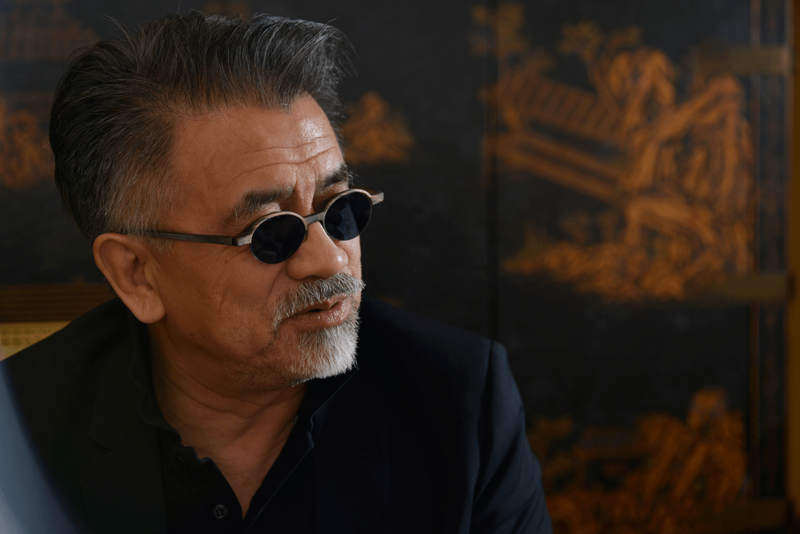 He was also the planner and designer of several exhibitions including Beijing Opera in Japan (1979), Asian Cosmology (1982) and Floral Cosmology of Asia (1992), and has been commissioned to design Bhutanese postage stamps (1983-1985). He has deep passion for the making of books and takes on many roles when designing them — as researcher, graphic designer and editor. His publications have been translated and published in various languages. Major work ranges from Asian and Japanese Forms and Designs, 1994 (Taiwanese edition 1998); Forms Come Alive: Spirits of Asian Design, 1997 (Chinese edition 1999, Taiwanese edition 2000, Korean edition 2001, English edition to be published in 2015); Books, Text, and Design in Asia, 2005 (Chinese & Korean editions 2005, Taiwanese edition 2006, English edition 2014); Wind and Lightening: a Half-Century of Magazine Design by Kohei Sugiura, 2004 (Korean edition 2005, Chinese edition 2006); to Multi-subjective Asia, Sounds, Light and Phantasm of Asia, and Spiritual Power of Character in the series of Kohei Sugiura’s Words and Thoughts on Design, among many others. Recent exhibitions include “Vibrant Books – Methods and Philosophy of Kohei Sugiura’s Design” at Musashino Art University Museum & Library (2011) and “Luminous Mandala: Book Designs of Kohei Sugiura” at Ginza Graphic Gallery (2011). Born in 1937 in the United Kingdom. Specialised in Business applications for design, how design creates economic value, history of design and its role in economic and social change. Considering the reams of scholarly book titles, papers, and awards in his name, one would expect Professor John Heskett’ s CV to read like a design academic’ s dream career. And it does. But scratch the surface and it comes as a surprise to learn that his route into design was not obvious. Having studied Economics, Politics and History at the prestigious London School of Economics, he took a job as a town planner at Norfolk County Council. So this was his link into design academia? Not quite. In 1964 he found himself in Australia where he found employment teaching secondary school history. It was here that he got caught up in, what was then and some would argue still is, a hugely contentious issue for Australians, that of their cultural identity. With a view of global culture, Heskett is talented in looking outwards to the big picture in design. His peers, as well as judges of this Award, have commended his ability to connect Hong Kong to the international, and this is important to designers in Hong Kong where cultural identity and positioning continues to be debated at length in the Hong Kong Special Administrative Region. Later, having moved to what was then Sheffield Polytechnic; he started exploring aspects of design policy. He was later able to put that research into practice when invited to Mexico in 2008 to give a series of lectures to universities and various layers of government, including members of the Congress. The response was incredible and ultimately led to Mexico establishing an academic-run national council for design. He is vehement in his arguments about the need for a structure of knowledge and illustrates this further by referring to the discipline of architecture. As he makes clear, for any form of design it is a matter of relevance –what does it mean for the people for whom it is intended. This, he believes, is central to the question of design as knowledge. Interestingly, Heskett makes no apologies for not possessing an artistic or creative background – Though among his bookshelves you’ll find the original hardback edition of his opus title, Industrial Design, published and still in print. How does he explain its remarkable longevity? “I think for the first time, someone wrote a book about design that treated the field as having its own theory and history, and that is based on the positioning of design in the context of work, that is the world of business, unlike an artist,” he says. “Designers were being educated on the basis of them being artists not designers. The book was an attempt to change that and it did seem to have considerable impact in the early years.” Indeed it was, and probably still is, a bible for those in design education. “By mid-1990s, I had been at Illinois five years and began developing courses on design and economics; how design creates economic value,” he says. This was a new direction, focusing on how to send students out into the world of work with the capacity, and vocabulary, to discuss and argue the case for design. Cross-cultural Design Pioneer, Henry Steiner claims there is no such thing as a “typical Steiner design style”. His creativity remains deeply rooted in his European origins, an academic mentorship under the renowned Yale educator Paul Rand and admiration for design gurus such as Henry Wolf, Tanaka Ikko, Milton Glaser and Ivan Chermayeff. He also credits a sojourn at Paris’s Sorbonne and his early career at Asia Magazine in New York amongst his most formative influences. A lifetime passion for Japanese art and 50 years of living in Hong Kong have also helped him create acclaimed work for clients such as Acer, Asiaweek, Chase Manhattan Bank, Dow Jones, Far Eastern Economic Review, Hilton, HSBC, IBM, Jardine Fleming, Mandarin Oriental, San Miguel, Shangri-La, Ssangyong, Standard Chartered, Prudential and Unilever. For Steiner, professionalism means meeting clients’ needs and deadlines. “When people ask me where I get my inspiration, and I say – literally and without irony – from the deadline. My creativity is like a car that won’t start until the ignition sparks! Steiner believes there are four key principles to design. The first is “The analysis of the idea. This was the first principle Paul Rand taught me! A classmate once said, ‘I have a feeling, a sense of nature.’ Paul retorted, ‘Yes, but you don’t have an idea!’” Steiner’s second principle is that form must follow function. “While this is a truism, many so-called creative talents don’t consider it nearly seriously enough. To me, design means satisfying function.” And the third principle? “Context and content. There’s no need for further elaboration. You either get it or you don’t,” he says. Established in Hong Kong in 1964, Steiner & Co. is one of the world’s leading branding design consultancies having undertaken work spanning everything from corporate identity programmes and packaging to book and magazine design and even coins and banknotes. Major clients include EF Education First, Hong Kong Jockey Club, HSBC, and Standard Chartered Bank. Steiner’s distinguished body of work has led to professional recognition such as Presidency of the Alliance Graphique Internationale; Fellowship of the American Institute of Graphic Arts, Chartered Society of Designers, and The Hong Kong Designers’ Association. He is also an Honourary Member of Design Austria; and a Member of The New York Art Directors’ Club. Steiner has been named Hong Kong Designer of the Year, a World Master by Japan’s Idea magazine, and is included in Icograda’s Masters of the 20th Century. Next magazine hailed him as being one of the 100 most influential people in Hong Kong’s history. He was also awarded the Golden Decoration of Honor of the Republic of Austria (2006) for design achievement and received an Honorary Doctorate (2004) from Hong Kong Baptist University. He is also an Honourary Professor at School of Design, The Hong Kong Polytechnic University. Books Henry has written or co-authored include Cross-Cultural Design: Communicating in the Global Marketplace and Henry Steiner: Designer’s Life. Kenji Ekuan has held prominent design positions throughout his life. 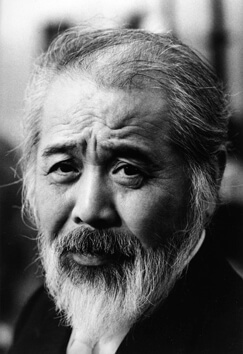 He was the Executive Chairman of the Organizing Committee for the International Council of Societies of Industrial Design at the 1973 Kyoto Congress; President of the Japan Industrial Designers’ Association; President of the International Council of Societies of Industrial Design; General Producer of the World Design Expo ’89 in Nagoya. He is the Chairman of Design for the World, the humanitarian organization, as well as holding important positions in the Japan Design Foundation and the Japan-Finland Design Association. He is the founder of GK Design. 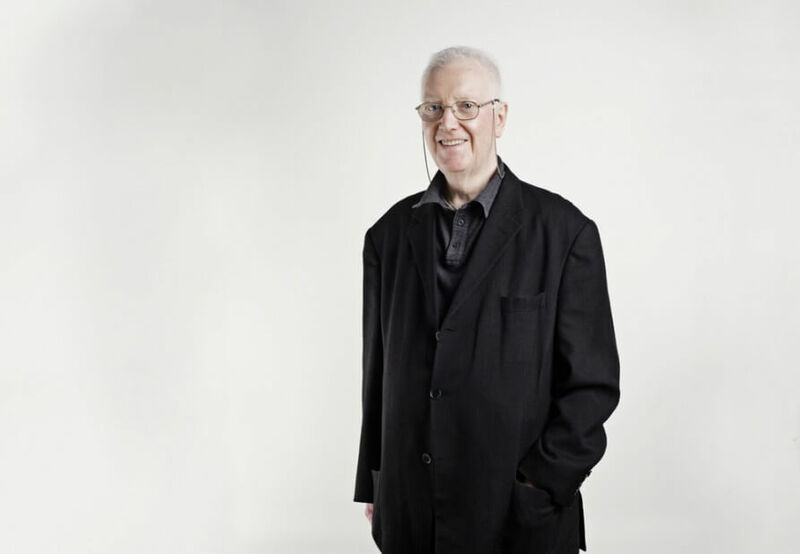 His numerous awards include the prestigious biennial Osaka International Design Award; the Colin King Grand Prix; the Sir Misha Black Medal (UK); the Order of the Rising Sun (Japan); and, a Commander in the Order of the Lion of Finland. He is the recipient of the inaugural Design for Asia Awards’ Lifetime Achievement Award 2011. Kenji Ekuan is the venerable and highly respected Japanese designer who has been instrumental in initiating global design trends and whose unique contribution to design has also covered speaking, writing and designing using a philosophical, erudite and intellectual approach, while also ensuring that design meets people’s everyday needs. 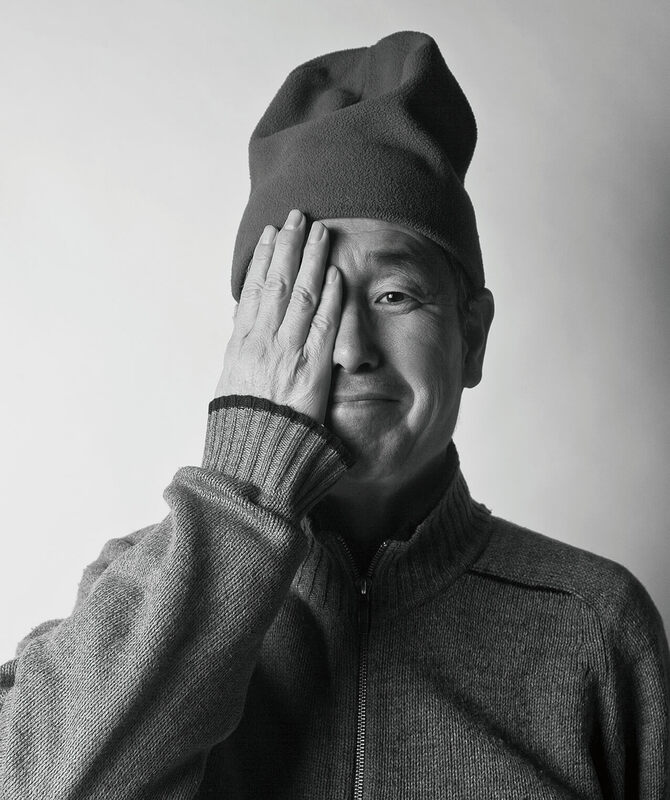 Ekuan-san is the inaugural recipient of the Design for Asia Awards’ Lifetime Achievement Award 2011. In addition, Ekuan-san has received innumerable awards and held many influential and prestigious design-related positions in his lifetime. He is the founder of GK Design, the internationally important Japanese design consultancy responsible for many notable products, including the Kikkoman soy sauce bottle, Yamaha motorcycles, the Narita NEX express train, the Akita ‘bullet’ train, and virtual environments. Operating on the principle of “business, movement, research”, his design activities are not just limited to mere design, but expand through design’s social meaning and wider ethos. He has developed the ‘dougu concept’, a Japanese term broadly defining all built things and every man-made product. For Ekuan-san, dougu means a design philosophy for everything that has been created and that views technology and economics as socially viable, with every designed product having a useful existence in its user’s lifetime. He believes the aim of the creative industries should be to create “new value” and having a global vision to solve the many issues impacting society. What can design do to improve pressing global issues? How can problems facing mankind be solved? And how do we all find harmony and peace? His proposition is that we need to contemplate these issues, and create products and systems that nurture our capabilities. Design is not limited to function and form, but must pioneer creativity to initiate better social and economic value for the future. He insists that the designer must ultimately aim to create a new, truer sense of wellbeing for everyone through design-created values. He has, himself, been a pioneering contributor of industrial design in Japan, playing a key role in the bringing together of designers, business and leading organizations. His eloquent, ideological writing on the meaning of the design of objects in everyday life and the interpretation of design activities in relation to Japanese cultural life is found in his seminal books, Thoughts on Tools and The Aesthetics of the Japanese Lunchbox. The Makunouchi Bento, or traditional Japanese lunchbox used in Japanese homes and in restaurants, is a highly lacquered wooden box divided into quadrants (or four equally sized spaces), each containing different food delicacies. As a food container, it initially presents as a simple box, containing food portions residing in its own compartment, and obeying strict lunchbox geometry and food placement etiquette. Ekuan-san metaphorically explains a much deeper interpretation of the lunchbox that unravels Japanese culture, its spirit, form, aesthetics and the ideal that “many can be reduced to one”. He unlocks ancient Japanese design secrets, rituals, celebrations and aesthetics, explores Japanese landscape, and delineates the 48 rules of etiquette of Japanese form. This critique of Japanese design connects everything from food, television, motorcycles, package tours and department stores to the landscape, ecology, computers and radios. Nothing is what it first appears, while everything is explained using his "lunchbox” theory. Believing in the vision of “the democratisation of design”, Ekuan-san willingly responds to a client’s needs to specially provide product, architecture, packaging and digital technology design solutions. He aims to raise design consciousness by stressing the requirement for sound ethical foundations, utilizing insights into human nature within society’s traditional rules. He firmly supports mastering systematic engineering and manufacturing technology within an economic framework, but insists design’s dreams can only become reality if intelligence and creativity are applied to create a beautiful form which is value added. Ekuan-san believes that humanizing a machine (e.g. a modern motorcycle), and giving it a formative expression was an epoch-making development in design and society’s history. One of his goals has been to ensure that material things harmoniously and collaboratively coexist in a natural environment with each other, otherwise the reason for its existence will be denied if the coexistence is not materialized. This is achieved by further understanding human nature; otherwise, we will eventually use up all the world’s natural resources. The designed product cannot be valued in and of itself, but we must consider the precious resources required to develop a product. The core mission for designers today is to focus on people’s future lifestyle but within nature’s own constraints and aesthetics. Ekuan-san’s design philosophy is extended by what he believes is the Japanese concept of attention to others – an attitude differing slightly from a Western approach. He explains in The Aesthetics of the Japanese Lunchbox that Japanese product designers are anxious to accommodate all the universal wishes of users, thus equipping their product with additional functions or devices that, however, most people seldom use. When a product requires extra additional functions, this makes the designer’s job more difficult to create a simple design. Therefore, product design must strive to compensate by being well balanced and simple. Regardless of the designed object, we all need design.